Home / Photo Galleries / Members Gallery / Friend Or Foe? From Chocowinity, NC taking Rt.# 33E to Clay Bottom School Rd. to Cotton Patch Rd. to Crisp landing Rd. near Blounts Creek at my backyard. Since this catergory is about your favorite places, my number (one) place to take photos is my own backyard. We have two acres near water and with a small pond on it. I am able to photograph many species of birds, snakes, frogs,butterflies, turtles, dragonflies,sguirrels and wildflowers. 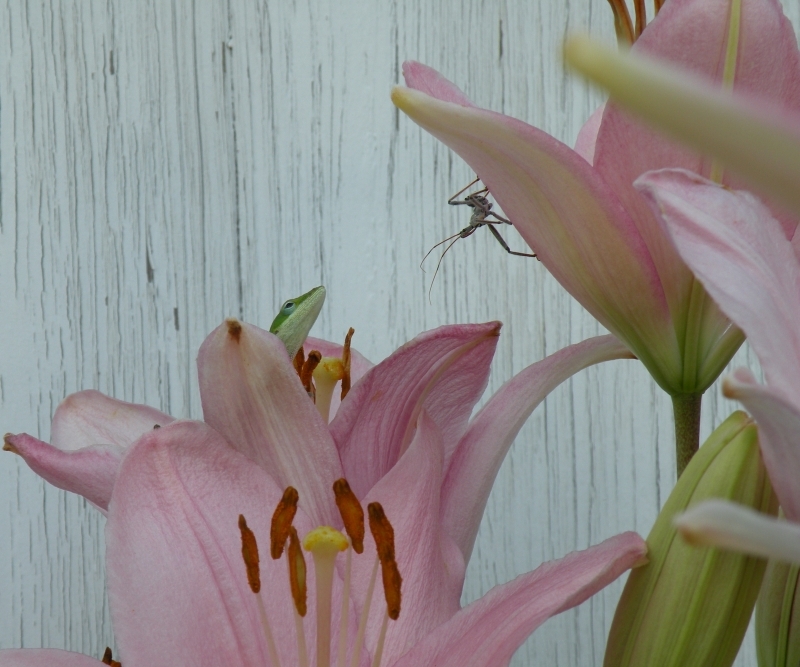 Male, green Anole gazing at a Spring Cricket.